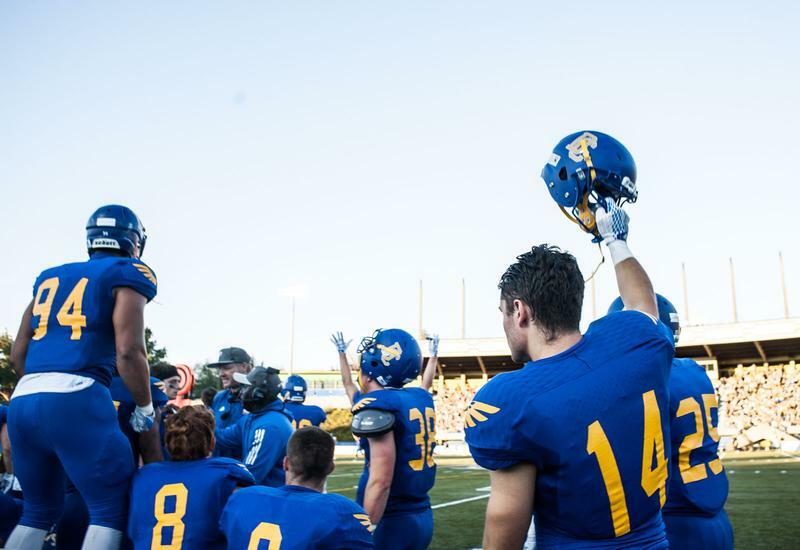 After falling 49-16 to Calgary in their first game of the season last year, UBC football earned their redemption by beating the Regina Rams in a home opening game with 6,950 spectators. Regina was first to get on the scoreboard as a result of a rouge by Rams kicker Andrew Fabian. The Thunderbirds then responded with two touchdowns, both by receiver Alex Morrison, which took the team to a 14-1 lead over the Rams. UBC’s dominance over Regina continued into the second quarter. After a strong defensive play near UBC’s end zone that prevented the Rams from scoring, the T-Birds scored a third touchdown and a field goal to increase the lead to 24-1 by halftime. The first half witnessed a noticeably strong performance by quarterback Michael O’Connor. O’Connor threw 240 passing yards while Regina quarterbacks Noah Picton and Tyler Vieira threw a combined total of 81 yards. “The one thing that impresses me the most about him [O’Connor] is that he picks himself up after every hit.… He’s going to be a difference maker,” said Blake Nill, UBC head coach. Despite a solid performance in the first half, UBC’s performance began to weaken in the third quarter. The Rams kicked off the third with a field goal, two touchdowns and a team safety for a total of 16 points, narrowing the score to 27-17. UBC’s offensive struggles continued into the final quarter, where they did not score a point. Regina scored a 32-yard field goal in the fourth to decrease the T-Bird lead by another three points. The Rams nearly evened the score during the final minute of the game, but an interception by Thunderbird free safety Taylor Loffler at the UBC end zone preserved UBC’s seven-point lead and allowed the team to emerge victorious, 27-20. Nill attributes the performance of the team in the second half to the overall inexperience of the young players. “We’re going to have moments of inconsistency…. Most of our kids are so young right now that they just don’t recover very well from adversity,” said Nill. Still, he believes these players have a chance at becoming more successful as the season progresses. The Thunderbirds contended with the absence of star running back Brandon Deschamps, who suffered an injury during the previous game against Calgary. “We don’t have a replacement for Brandon [Deschamps] … we need him back in the lineup,” said Nill. 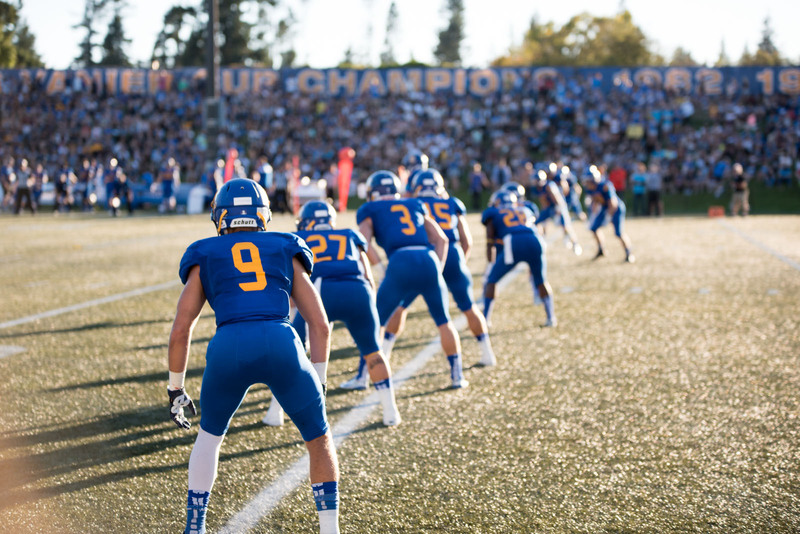 UBC football’s next game is against the Manitoba Bisons, in Manitoba, on September 19.